Preheat the oven to 425⁰. In a large bowl toss the Brussels sprouts with the Cilantro & Roasted Onion EVOO and 1 Tbsp of the Red Apple Balsamic. Roast in the oven for 25 minutes, or until tender, tossing the sprouts a couple of times. When the sprouts are finished, season with salt and pepper to taste. Put the sprouts in a serving bowl and stir in the pomegranate seeds. 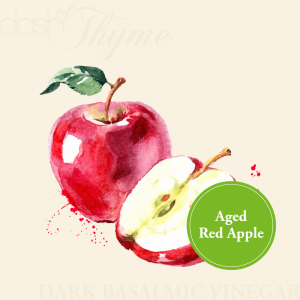 Add another 1 or 2 tablespoons of the Red Apple Balsamic, to taste, and fold gently to incorporate. Serve immediately.